Looking to make a video/film in Germany? From video shorts to films, TV ads & documentaries, NEEDaFIXER Germany has you covered. Looking for a Fixer in Germany? Looking to find the ideal filming location in Germany? Looking to produce a video, film or documentary in the stunning German countryside or bustling cities? Look no further. NEEDaFIXER Germany has all of your filming & fixer requirements covered. What ever your production / film / video shooting requirements may be, speak to NEEDaFIXER today. 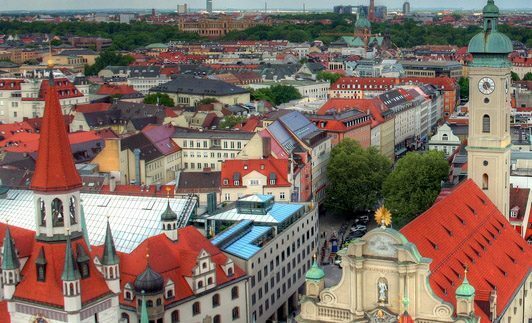 From colourful cities that combine the modern and historic, to vast areas of lush, green countryside with mountains, lakes, and Bavarian castles; there are many sides to Germany. Each area of Germany has its own unique personality and look, making it a versatile place to film, whether you want a fairytale land or a gritty backdrop. Getting permission to film in Germany isn’t always the easiest process, although it is usually quick. Each filming location will usually require its own permit, and therefore you’ll need the services of NEEDaFIXER GERMANY to guide you through the process. Those from outside the EU might need a work visa, and we can advise on which members of cast and crew will need permission to work in the country. Germany has a thriving domestic film industry, and that means the country has excellent infrastructure including several film studios and access to high quality technology. NEEDaFIXER can arrange for equipment hire if required, and can find a local crew such as producers, directors, camera operators, runners, and sound technicians. Most Germans speak excellent English, so it often makes sense to hire locally. It’s also possible to find cast in Germany, and NEEDaFIXER can put together a diverse showreel to suit your needs. Germany’s location at the heart of Europe also means it’s easy to cast from neighbouring countries if there’s a certain look you want to find. In general, shooting in the country is usually fairly straightforward, with four season weather and locals who are welcoming to international film crews. You will have seen Germany in a large number of high profile productions. It’s often used in WW2 dramas, such as Downfall and Germany, Year Zero for authenticity. It’s often used in fantasy and fairytale movies, with some famous productions including Willy Wonka & the Chocolate Factory, which used Munich Gasworks as the exterior of the chocolate factory, and Chitty Chitty Bang Bang which used Neuschwanstein Castle in Bavaria. Berlin is also a popular place to film large scale productions with Captain America: Civil War, Jason Bourne, and The Hunger Games: Mockingjay – Part 2 filmed in the city. There are endless potential filming locations in the country, which is why NEEDaFIXER GERMANY can help you out. Berlin has become the centre of the movie industry in Gemany, and The Hunger Games: Mockingjay – Part 2 made used of some of its disused buildings to create a gritty backdrop. It has also been used in many recent action movies such as Jason Bourne, which used the more modern areas of the city for action sequences. The movie used the now iconic Oberbaum Bridge, which was also featured in cult film Run Lola Run. Germany has vast areas of mountains, lakes, and greenery outside of the cities, and the Bavaria region is hugely popular for filming fantasy and kids’ movies. From castles to villages, there’s lots of spectacular scenery to be found. What can our fixers in Germany do for you? The NEEDaFIXER GERMANY team have excellent local knowledge when it comes to filming in the country, and this can make the production process easier. We ensure you have the right cast, crew, and equipment, and take care of things such as transport and accommodation. This frees you up so you can focus on the creative side of your shoot. The process of filming in Germany can be bureaucratic, and so we take care of work visas and filming permits, using our knowledge of the industry to ensure everything runs smoothly. Simply contact info@needafixer.com to find out how we can help you. NEEDaFIXER has extensive resources for all productions be it a film, documentary, hotel video, TV ad, feature film, corporate video or pretty much anything else video related. It can be quite a lengthy process, but generally is pretty easy and speedy with a fixer involved. One location can often require a variety of different permits, so please do contact us for more information. Do check with your local embassy, as it is completely dependent on your country of nationality and subject to country of origin. Germany has all the major camera equipment suppliers, as well as specialist props and tools. If you would like to bring in other equipment German production houses don’t have, Germany is an ATA carnet country. Germany has a standard four-season climate, from chilly winters, which may see snow through to searing hot summers. Spring can be pretty mild and autumn has a gorgeous fall. Beware of snow during the months of November – April. For the best weather for filming, May – October are the key months.